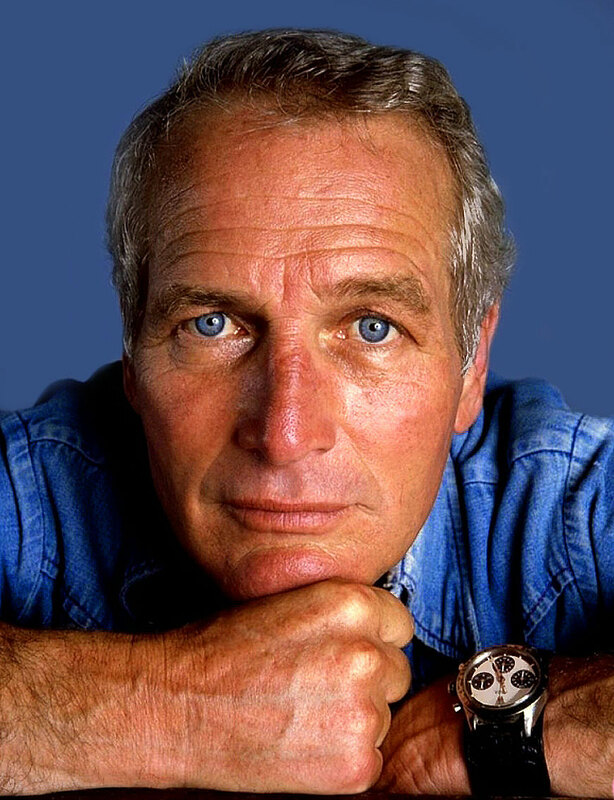 A new King has ascended both the Rolex throne as well as the wrist-watch auction record throne, as Paul Newman's Daytona just sold for $17,752,500.00!!!! The opening bid was for $1 Million, and the second bid was for $10 Million!!! From there it rallied up to a final hammer price of $15.5 Million!!!! 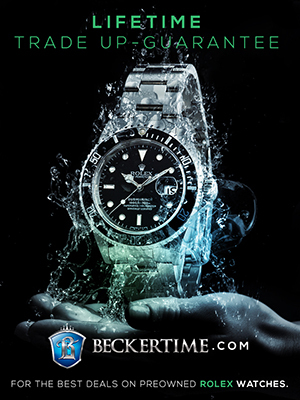 When you add in the buyers premium, the watch ended up selling for $17,752,500.00. 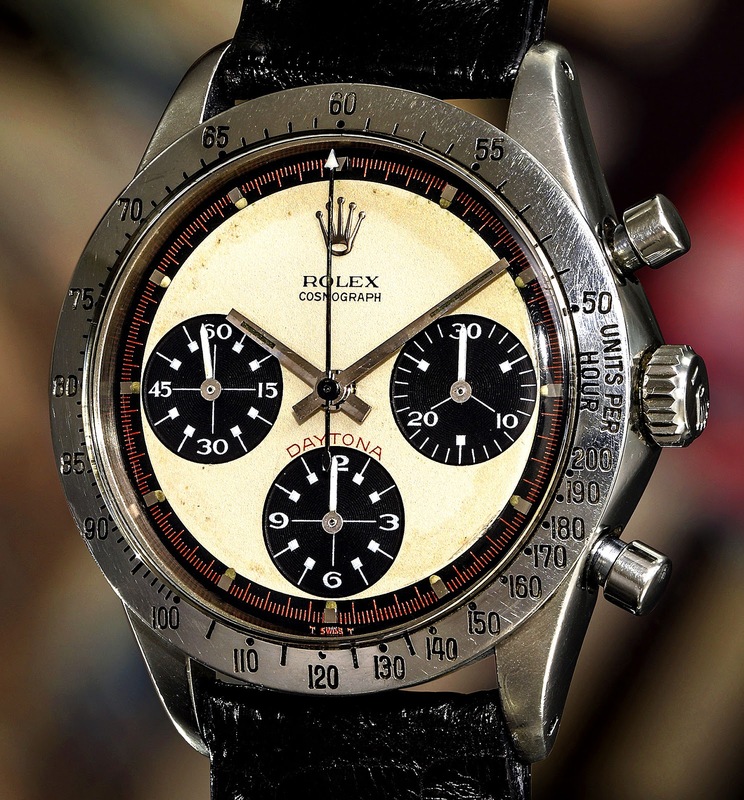 This sets an all-new Rolex auction hammer price, as well as an all-new wrist watch auction record, thus making it the most expensive watch ever auctioned in history!!! 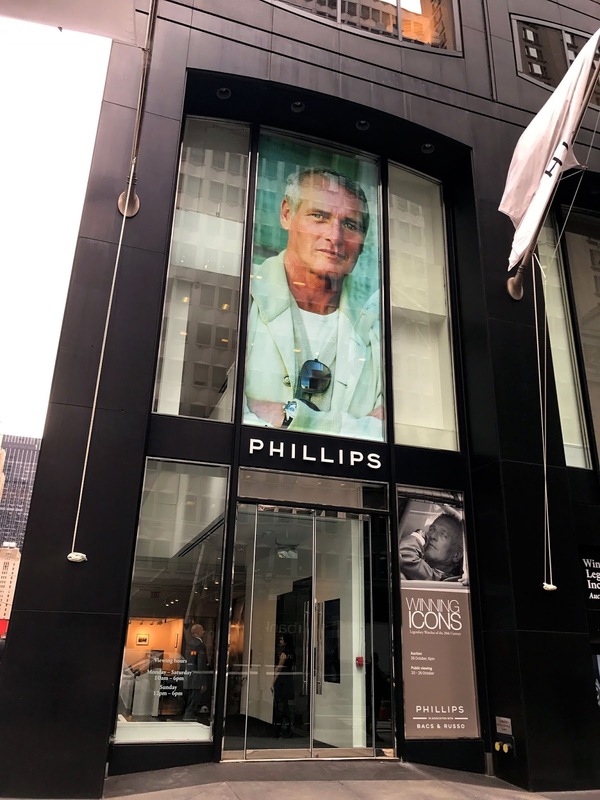 Can A Man Be A Watch? They say people often times look like and behave like their dogs. 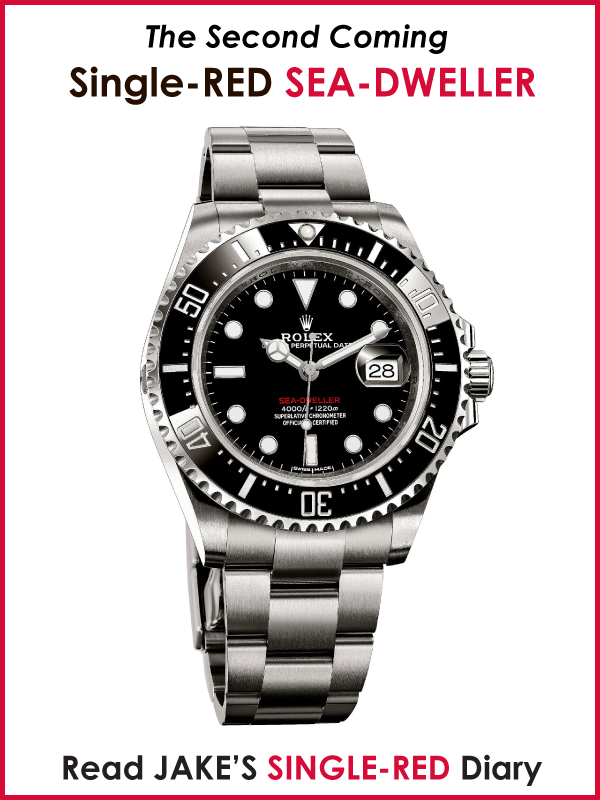 This kind of begs the question of whether or not a man's choice of watch is the same. 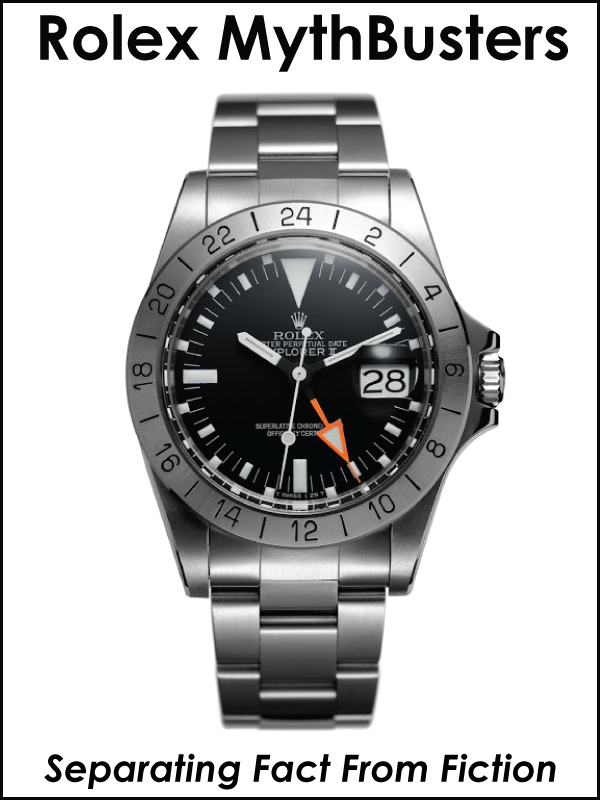 In other words, can a watch epitomize or exhibit the same characteristics as the man who wears it? 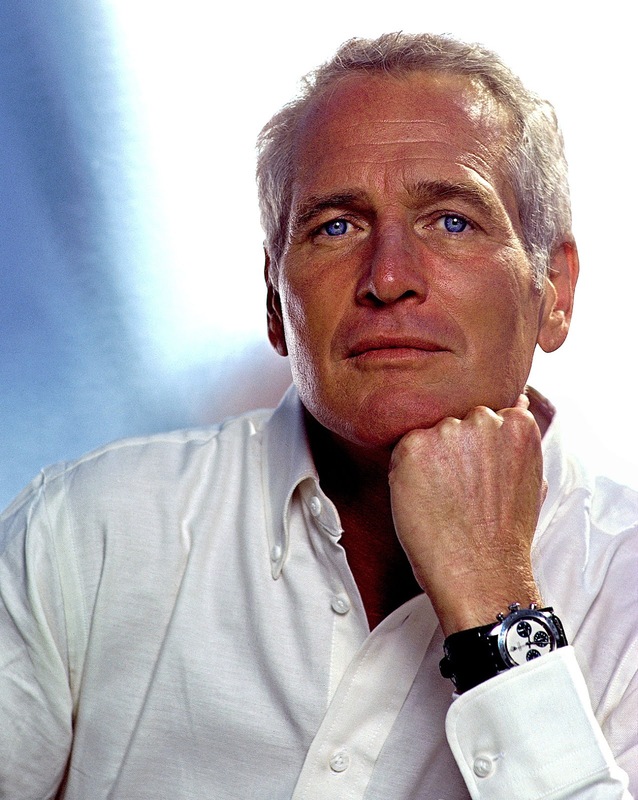 I would argue that the answer is yes and that Paul Newman was the living personification of the Rolex Daytona. This is why he wore them throughout his racing career and lifetime. 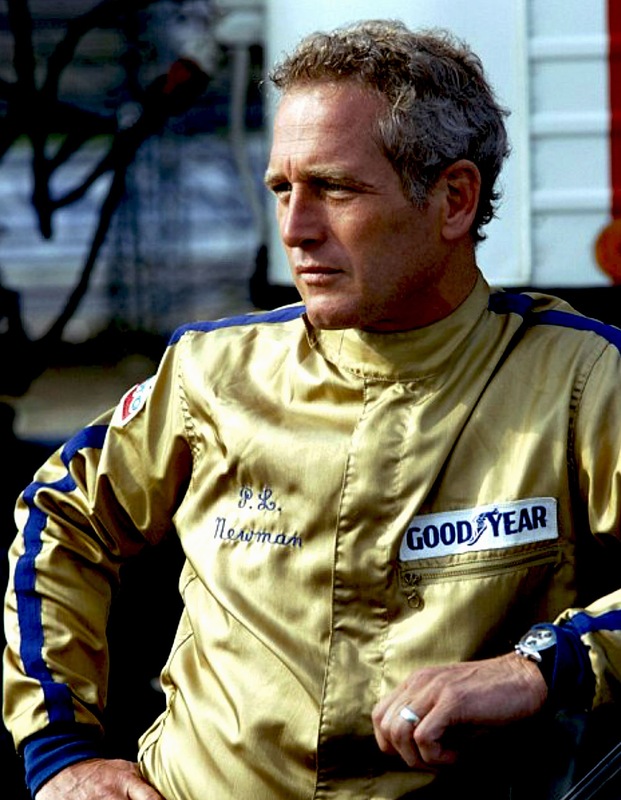 Paul Newman's Daytona, known in its acronym form as PNPN, was no ordinary Rolex Daytona. Paul Newman's Daytona was just like him. 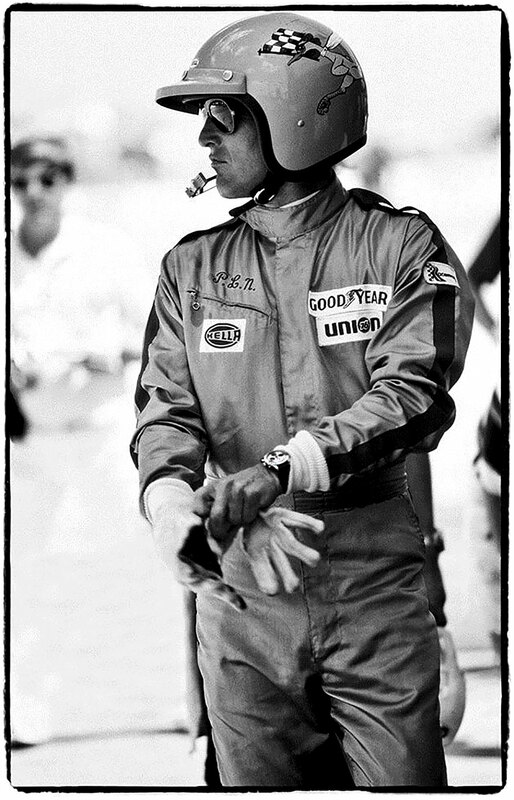 It was handsome, iconic, charismatic, simple, modern, classic, sporty, race-car-driverish, and most importantly timeless. 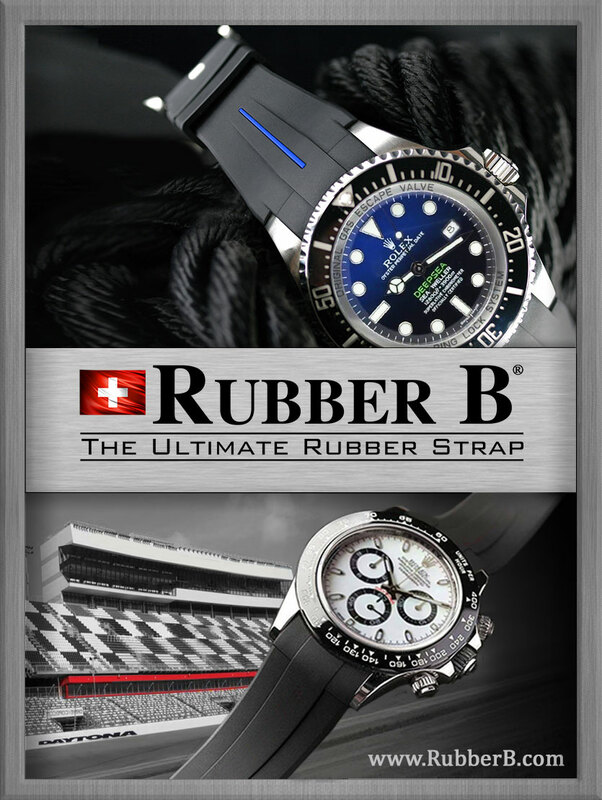 The way Paul wore his exotic dial Daytona on a black crocodile fatstrap was also emblematic of his sense of coolness. More than anything, PNPN was cool, just like the man. 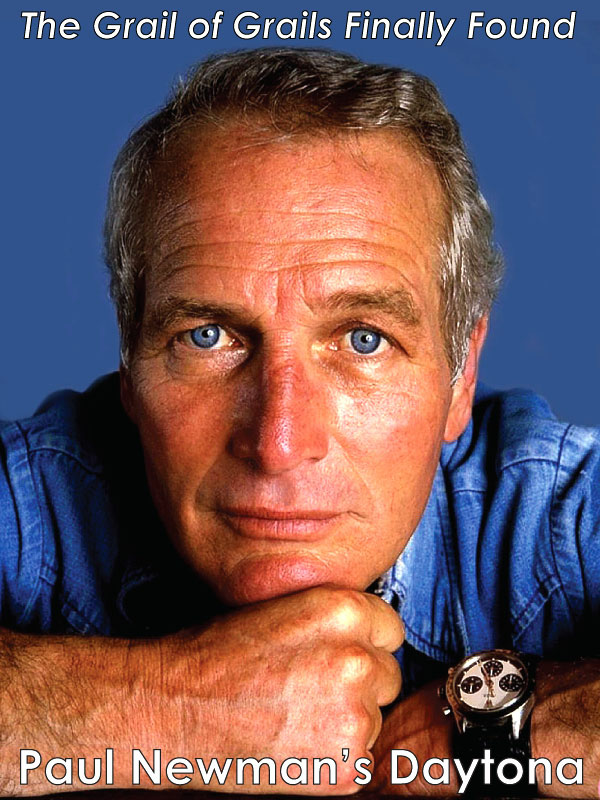 PNPN blew away the all-time wrist watch auction record because Paul Newman was pretty much one of the coolest and most iconic men that ever lived. 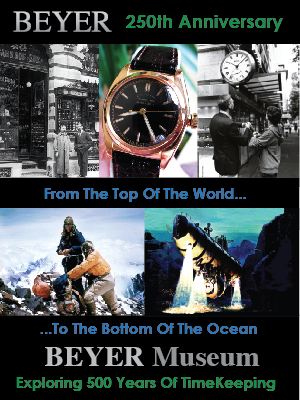 Witness Rolex History Being Made!!! 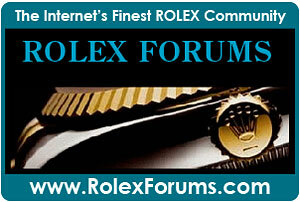 We witnessed Paul Newman's Daytona being auctioned live on Jake's Rolex World. In case you missed it, you can watch a replay below. The auction was for Lot 8 and you can fast-forward directly to the Paul Newman Daytona auction in the video below which begins @27:30. 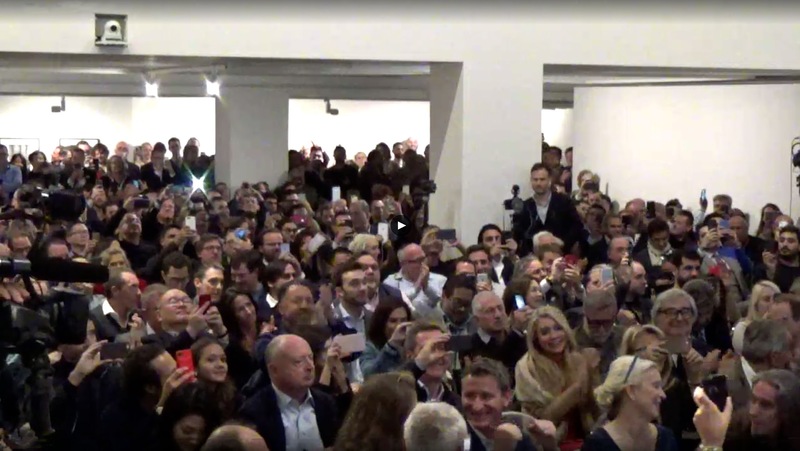 The photo below shows the Phillips Auction floor the second the hammer came down, and in the front row, on the right we see James Cox and Nell Newman with big smiles on their faces! 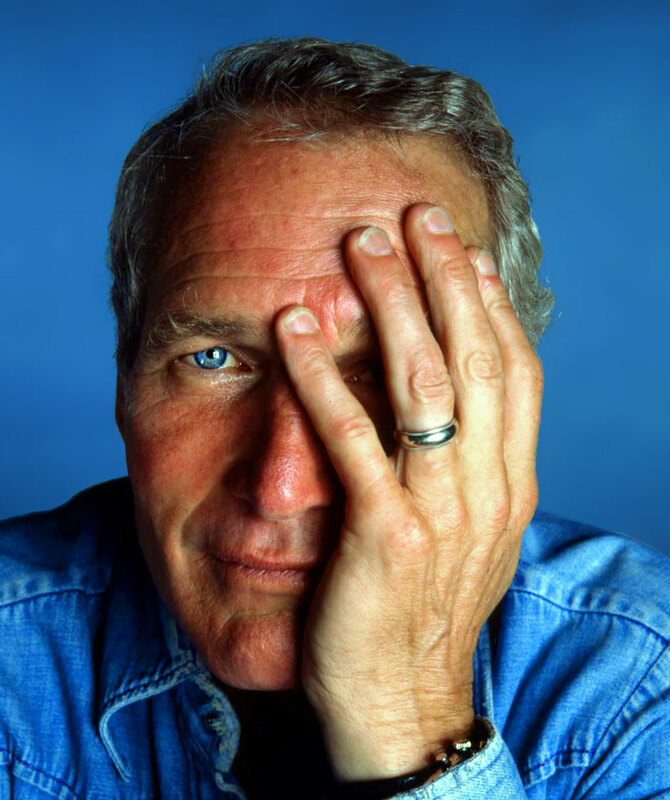 If you watch the Paul Newman Daytona auction it is beyond entertaining and full of surprises!!! Of course, I analyzed it to the nth- degree and discovered some interesting details. 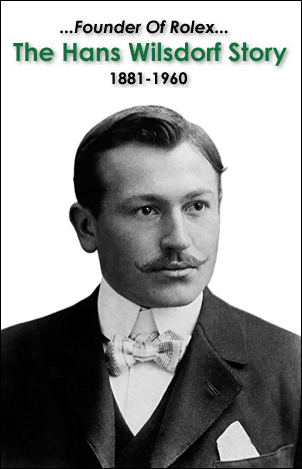 As previously mentioned, Aurel Bacs opened the auction at $1 Million (See Video Timestamp @ 28:27). Aurel Bacs said, "I have a commision bid at $1 Million that somebody left with me earlier.". Three seconds later @ 28:30, one of Aurel's agents screamed out they had a caller on the phone offering $10 Million!!!!! This shocked Aurel and probably everybody watching. Usually, auctions start low and slowly work their way up, but some bidder jumped straight to $10 Million and freaked everybody out!!! I imagine this was some kind of shock-and-awe strategy meant to catch all other bidders off-guard. I don't know how well it worked, but it stopped the initial dramatic suspense from getting much traction. Who Paid $18 Million for PNPN? 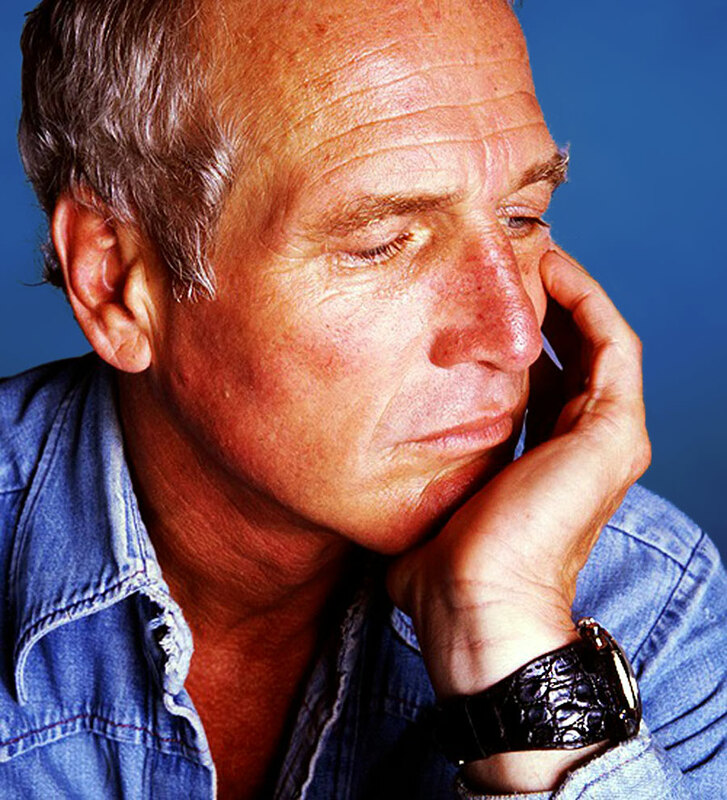 It is possible that the person that purchased Paul Newman's Daytona also had to pay New York State Sales Tax. I only mention this as I heard Aurel Bacs say (39:40) "Tiffany, what are you calculating?? OK. All I can tell you, you're still below $20 Million—All in, with Sales Tax." 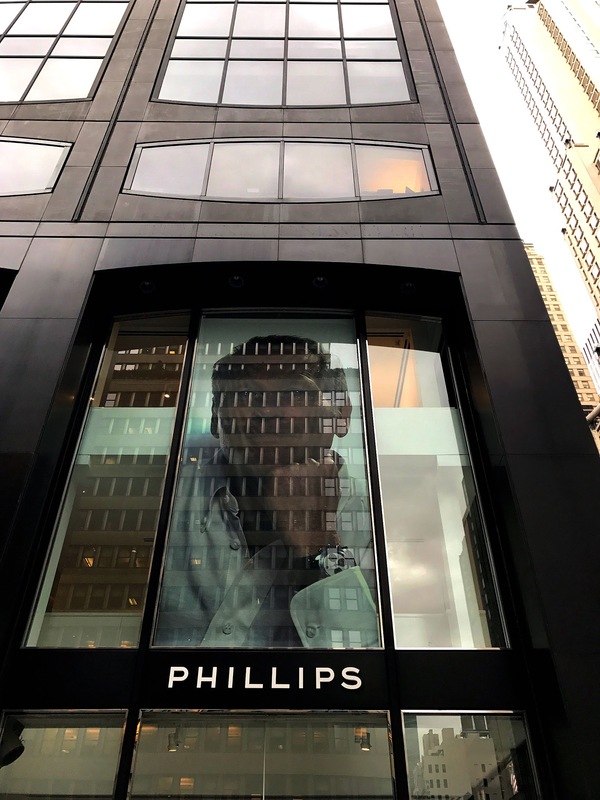 So assuming there was sales tax, the price paid would be closer to $20 Million. On a side note, I noticed the person who was bidding was likely a non-American, as they seemed to be confused about the exchange rate. So who was the winning bidder that paid close to $18 Million (or more) for Paul Newman's Paul Newman Daytona (PNPN)? 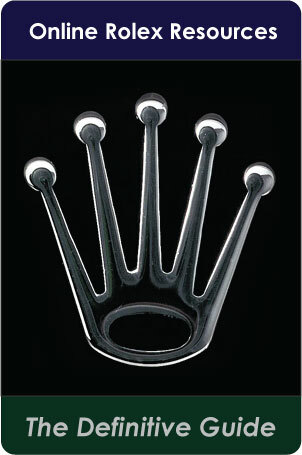 I don't know, but I think there is a very high likelihood Rolex bought it for their collection. Why do I think this? Because a watch like this only comes along once in a lifetime—if you're really lucky. 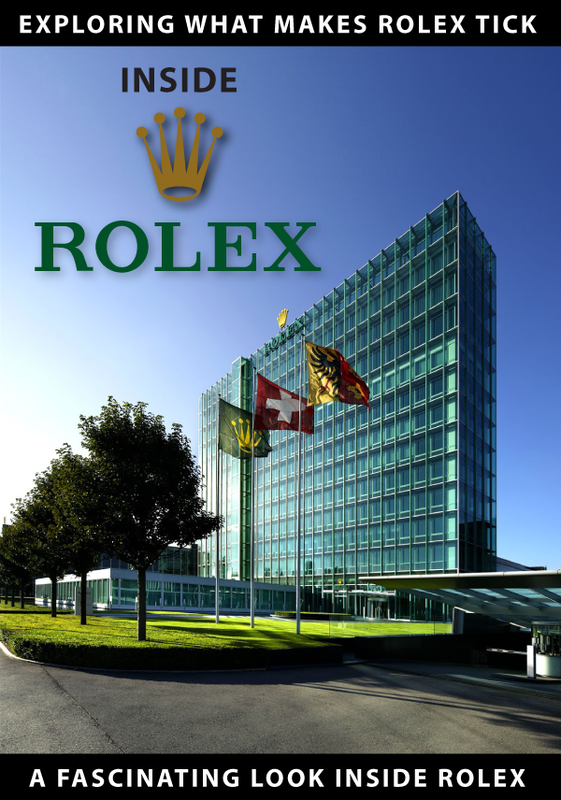 Even though Rolex does not have a public museum, they have an amazing private collection, most of which has NEVER been seen by the public. Update as of October 28, 10PM EST: I just got a new lead as to who may have purchased Paul Newman's Daytona. 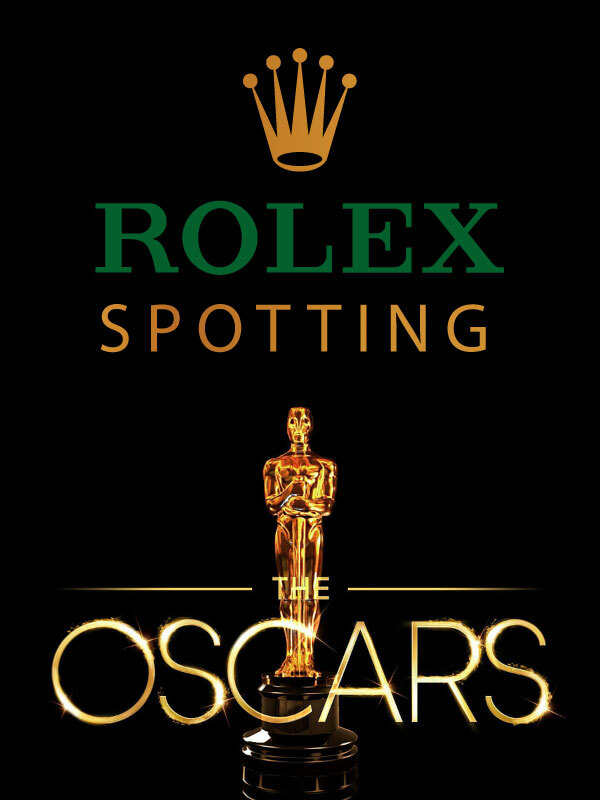 It turns out, it may not have been Rolex, but a really famous actor. As soon as I learn more, I will post another update. "The only thing I found grace in was racing a car." 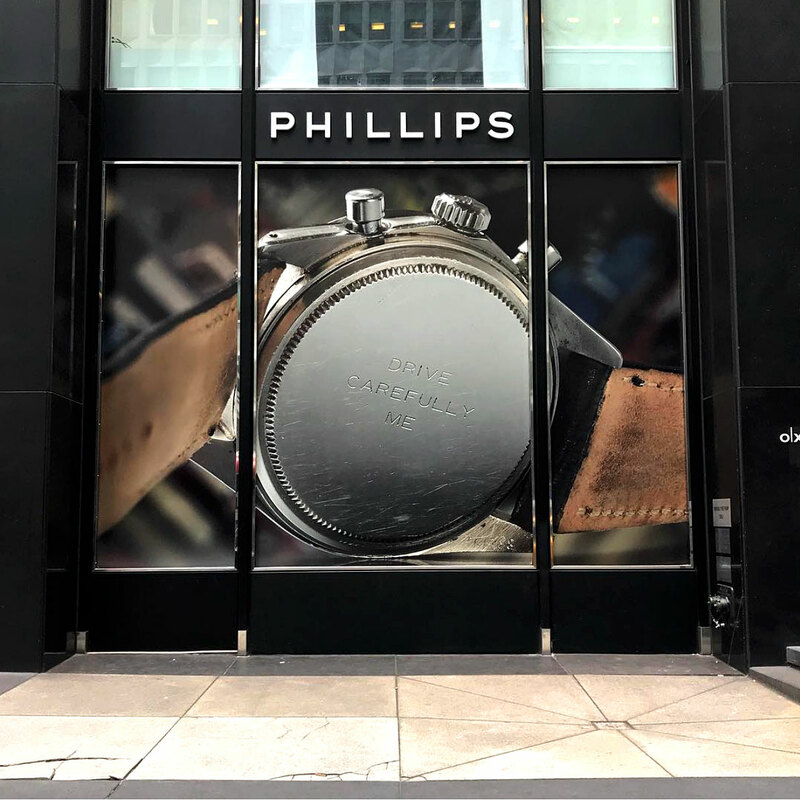 The Auction coverage images above appears courtesy of Hodinkee, and the two images below appear courtesy of Paul Altieri who owns Bob's Watches.